Our wave tank was in action at the ‘Careers in Flood Resilience’ event at St Joseph’s Academy in South Tyneside on 18 July 2018. Led by the Environment Agency, the event aimed to showcase flood risk management in the North East of England and to promote associated career opportunities. Representatives from a wide range of organisations involved in flood risk management talked to approximately 350 Year 9 pupils and their parents about their role in flood resilience and the career choices that led them there. The event demonstrated the diverse opportunities for working in flood defence, resilience and management. 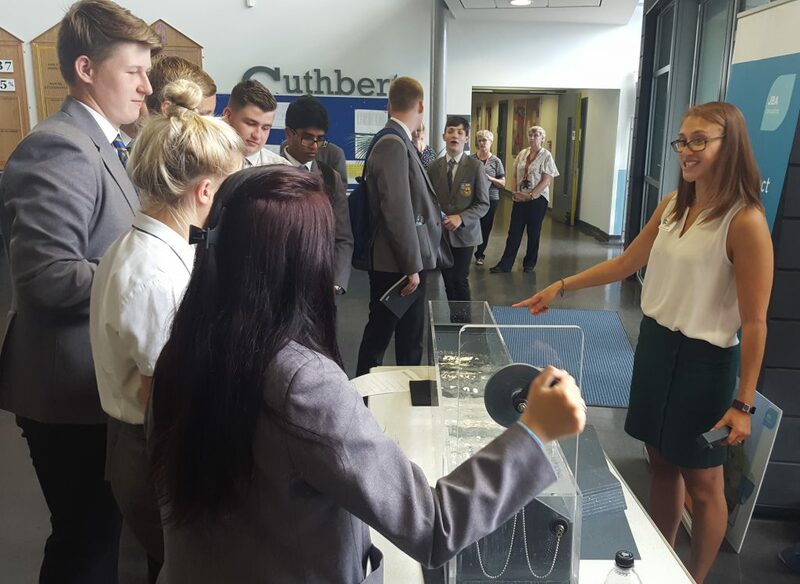 The wave tank was demonstrated by Dorian Latham and Rebecca Stroud from JBA Consulting who also talked to pupils about their career experiences in flood risk management, resilience and engineering.